I’ve loved musical theater ever since I was introduced to it as a child, but every once in a while, there’s a show that just exceeds all expectations. 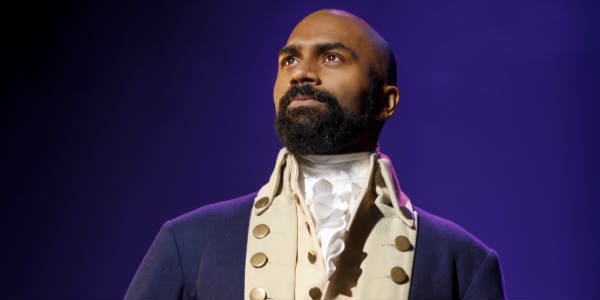 Such was my experience with seeing Hamilton last night at the Dr. Phillips Center for the Performing Arts in Orlando. 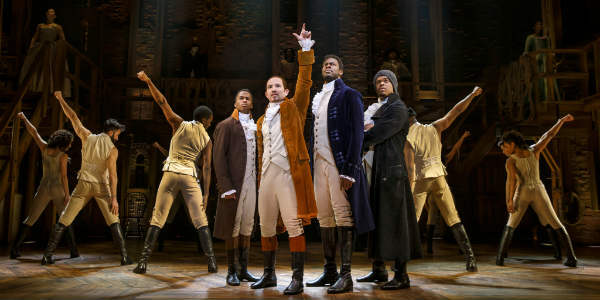 Written by Lin-Manuel Miranda, the musical tells the story of one of America’s Founding Fathers, Alexander Hamilton, who also was the founder of the nation’s financial system, the Federalist Party, the United States Coast Guard, and the New York Post newspaper. But what Miranda did was take the normally boring subject of a historical figure and set it to a soundtrack infused with modern day rhythms and rap cadences. And the cast of the touring production that performed last night’s show brought the musical to life by imbuing it with a vibrancy and playfulness that pulled the entire audience into the experience. 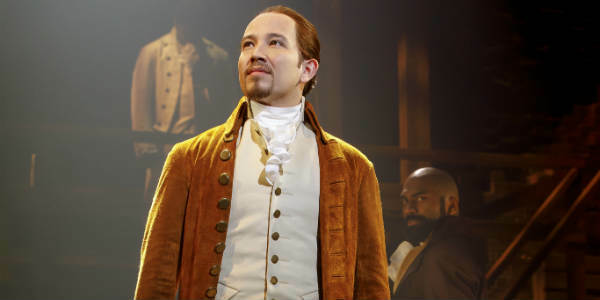 So many great performances that it’s difficult to single out just one, but I do have to say Joseph Morales as Hamilton really anchored the show with his energetic and nuanced performance. Also of note were Shoba Narayan as Hamilton’s wife Eliza, Nik Walker as Aaron Burr, and Ta’Rea Campbell as Eliza’s sister Angelica. All were amazing singers, with voices full of emotion. 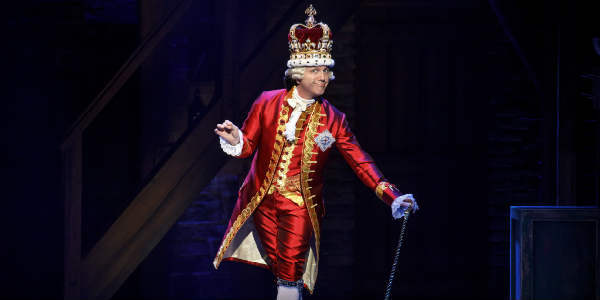 Furthermore, I have to give a shout out to Jon Patrick Walker, whose portrayal of King George called to mind Monty Python-era Eric Idle. He was the humorous high point of the show. 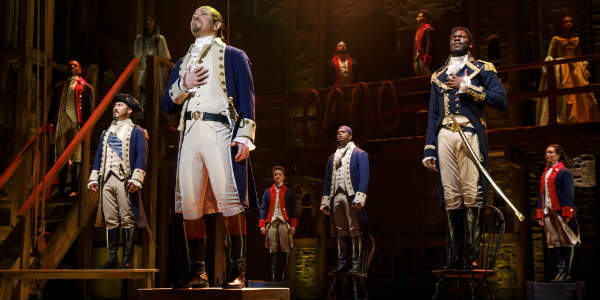 Hamilton is musical theater at its best, and I highly encourage you to see it before it leaves Orlando on February 10! Tickets are available for some performances at DrPhillipsCenter.org, or you can try for $10 tickets in the Hamilton Digital Lottery. Disclaimer: I received tickets for the purposes of a review. As always, my opinions are my own, and 100% honest.